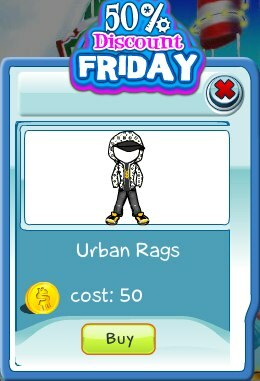 This week's 50% Discount Friday item is very cool Urban Rags outfit. This is one of our favorite outfits and a one of the most popular amongst users! The discount is ends today, so get one now!